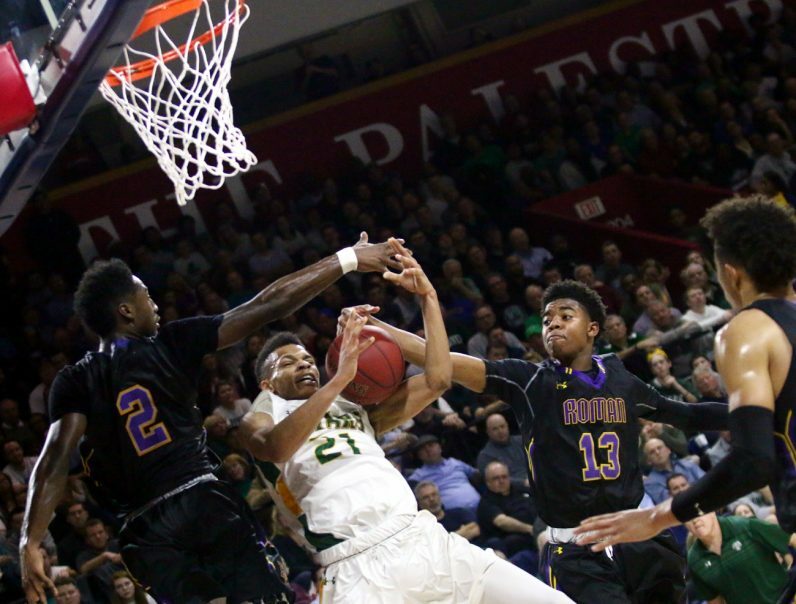 Bonner’s Isaiah Wong (no. 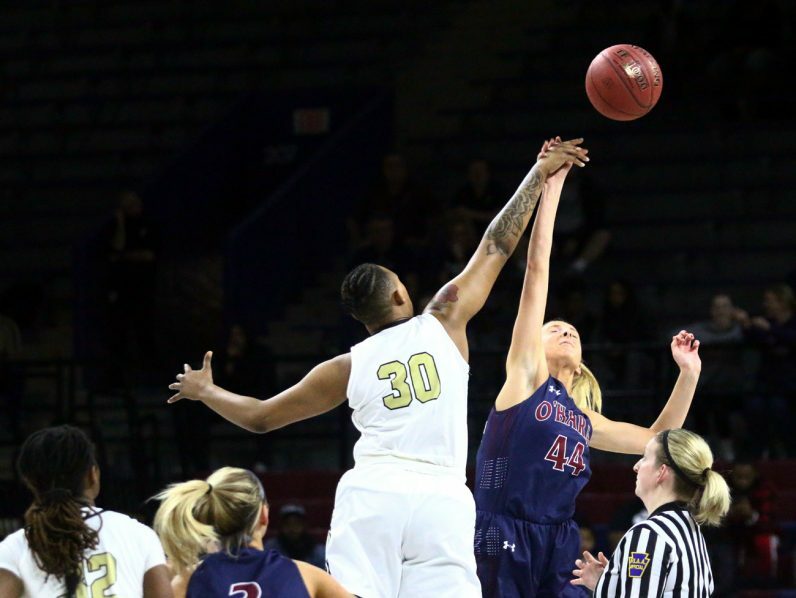 21, left) contests a shot by Roman’s Lynn Greer III. 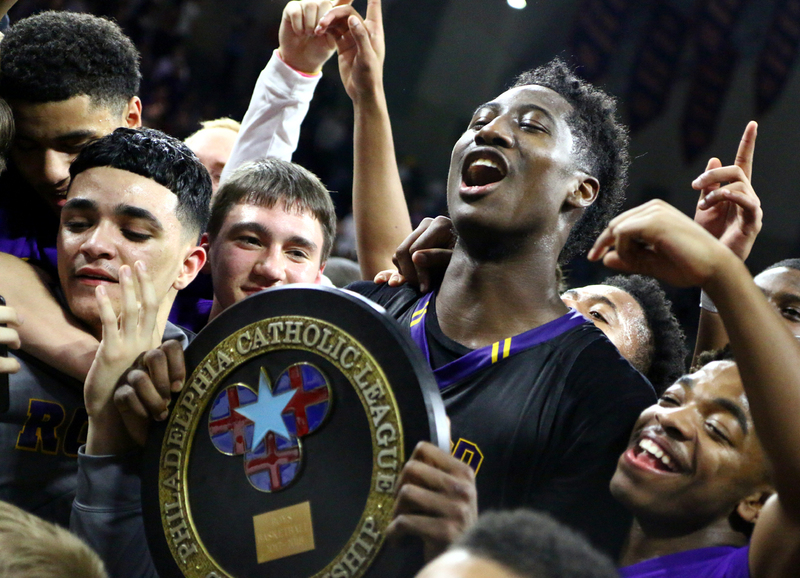 Roman’s Hakim Hart (no. 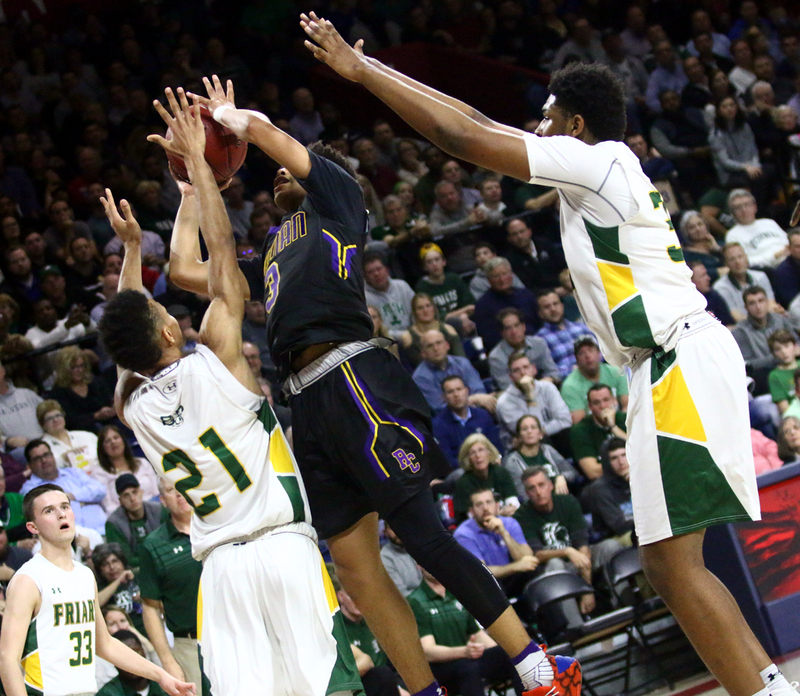 13) jars the ball loose from Bonner’s Isaiah Wong. Louie Wild of Roman Catholic goes up for a lay up against the outstretched arm of Isaiah Wong, who was Most Valuable Player of the Catholic League this year. 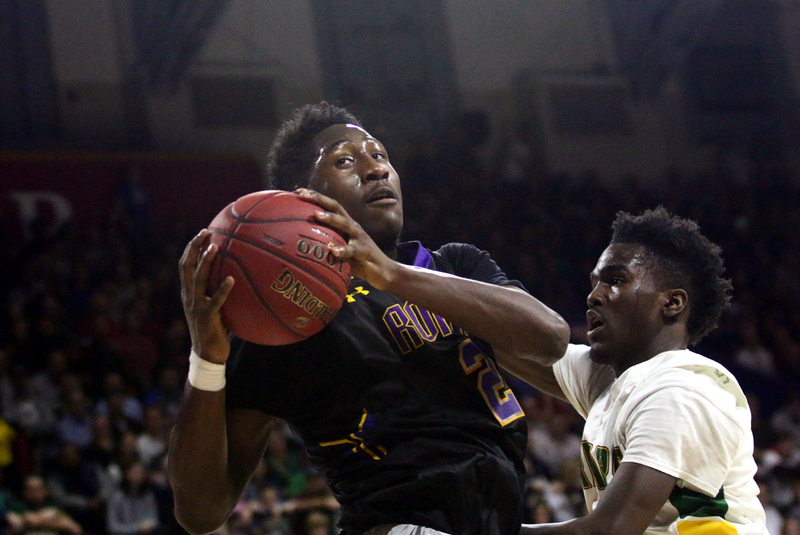 Roman senior Allen Betrand wrestles a rebound. 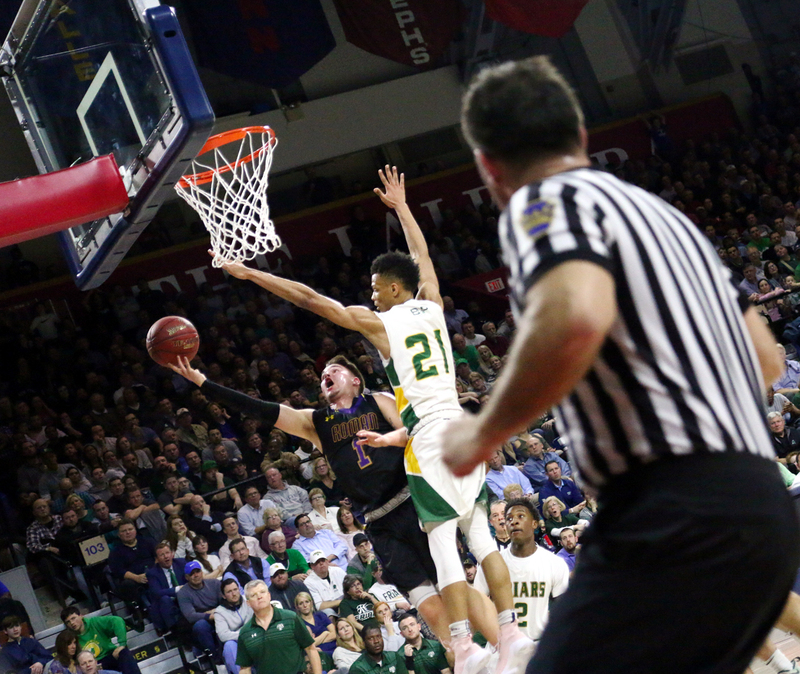 Allen Betrand hoists a short jumper in the lane. 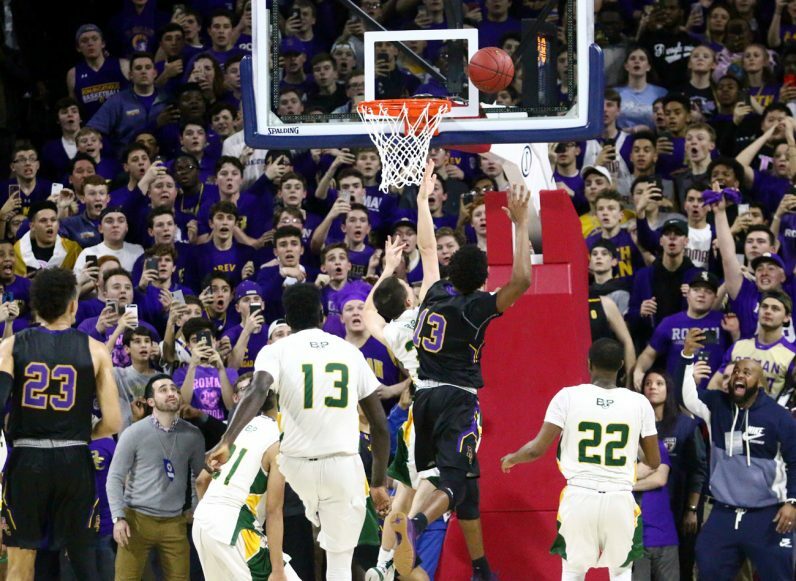 The tension on a hundred faces is released as the shot by Roman Catholic’s Hakim Hart drops in for a two-point lead with little more than one second remaining in the Catholic League title game Feb. 26 at the Palestra. 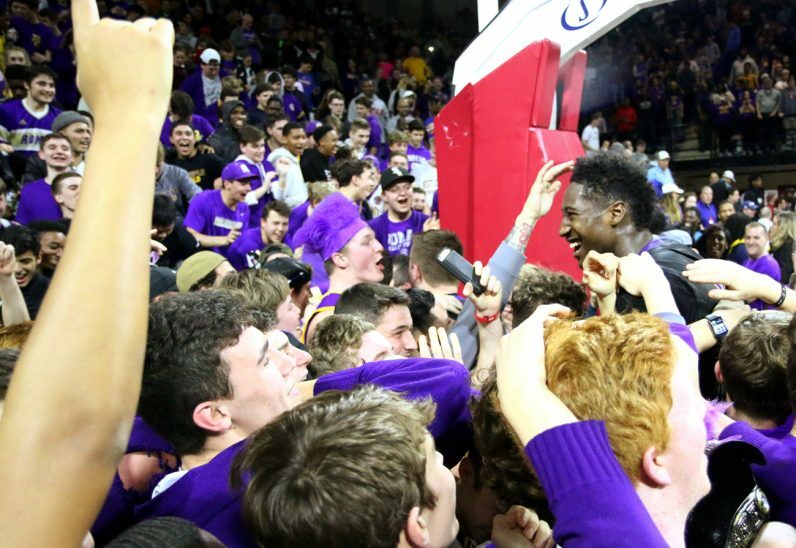 Senior Allen Betrand and his teammates celebrate Roman Catholic’s Catholic League championship after a raucous 51-49 victory at a sold-out Palestra in Philadelphia. 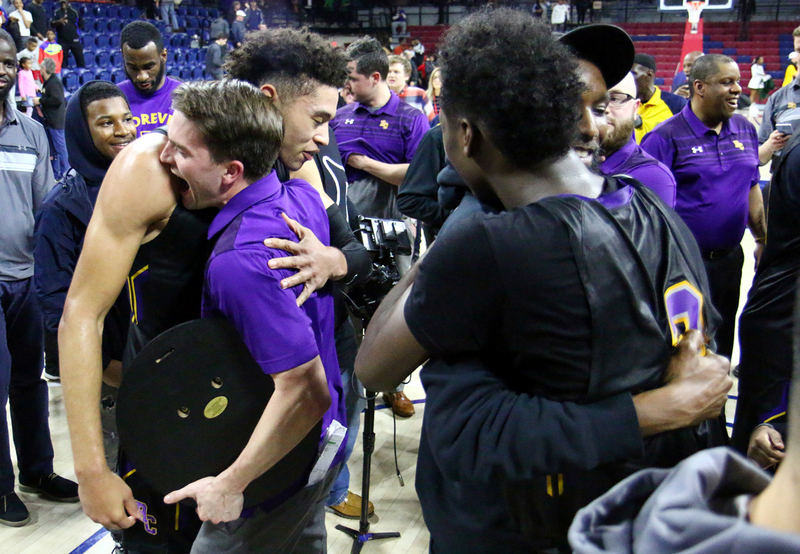 Roman Catholic Coach Matt Griffin clutches the Catholic League championship plaque while hugging his players. 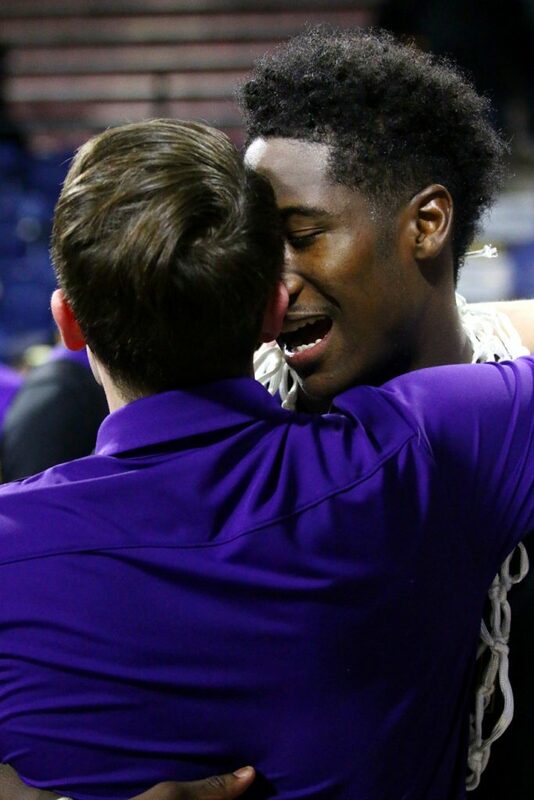 Allen Betrand gratefully hugs his coach, Matt Griffin, after the game. 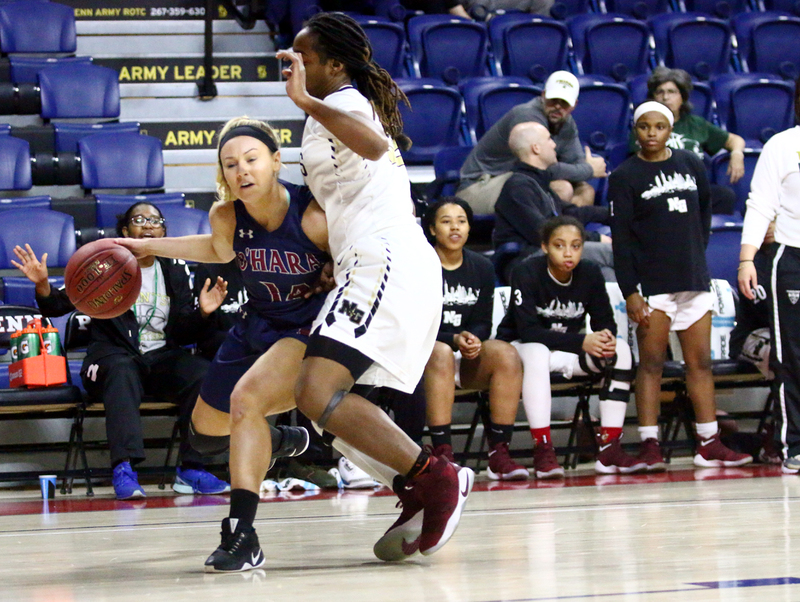 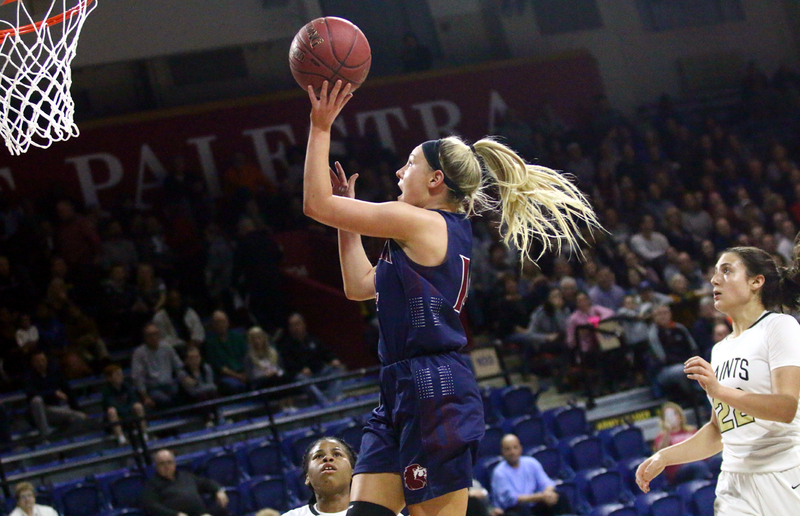 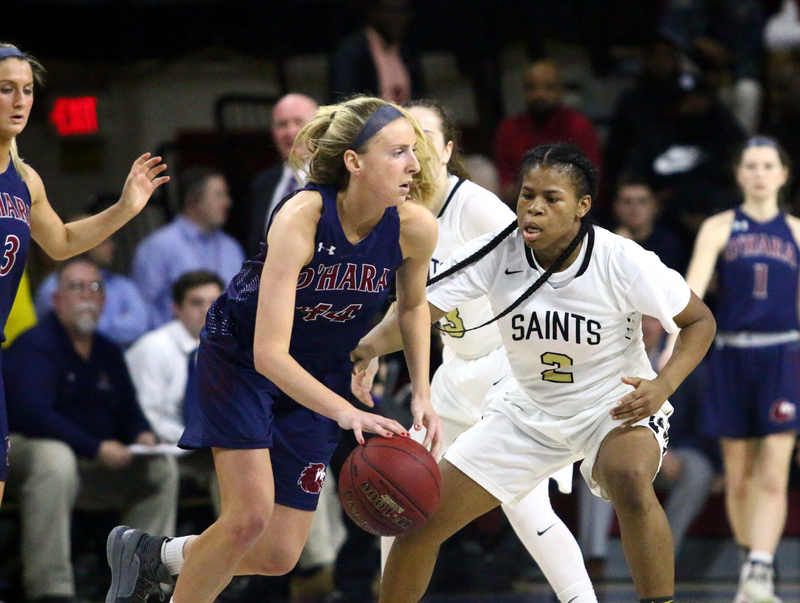 Cardinal O’Hara senior Maura Hendrixson looks for a way around the defense of Neumann-Goretti’s Kiara Koger. 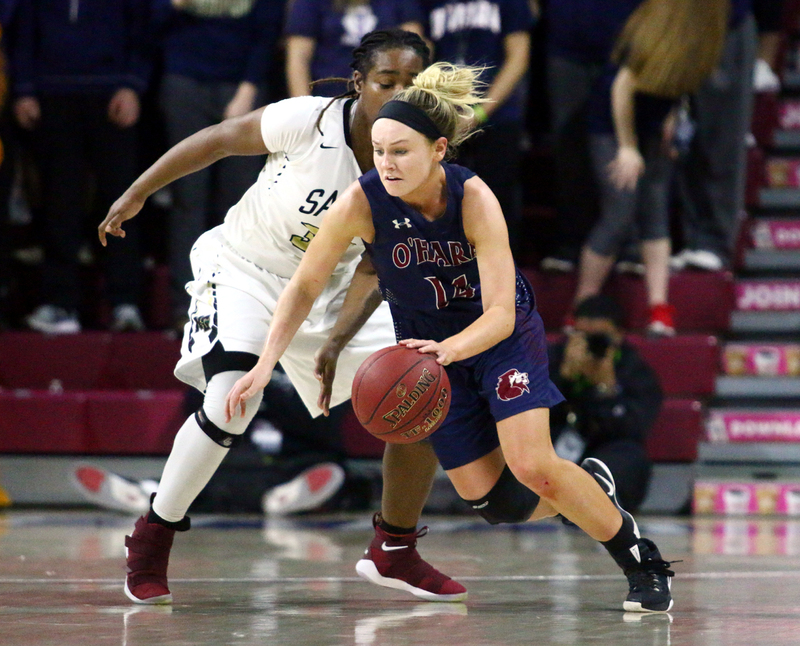 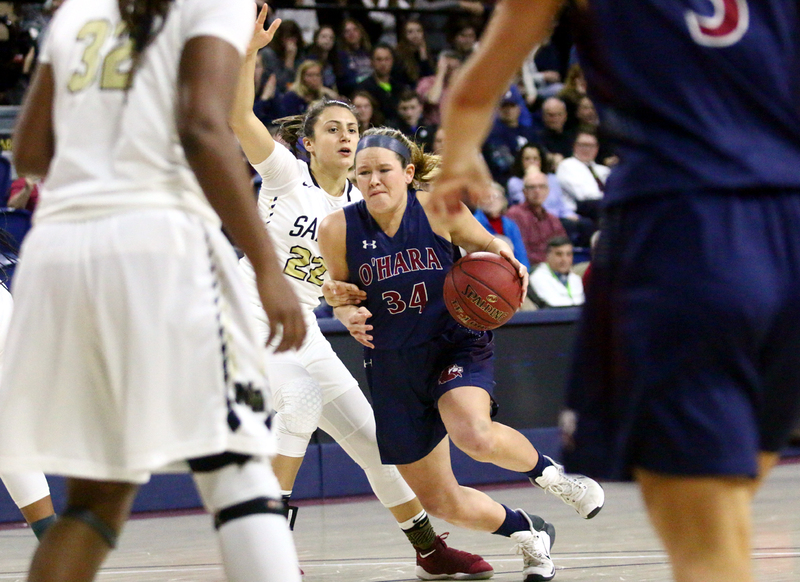 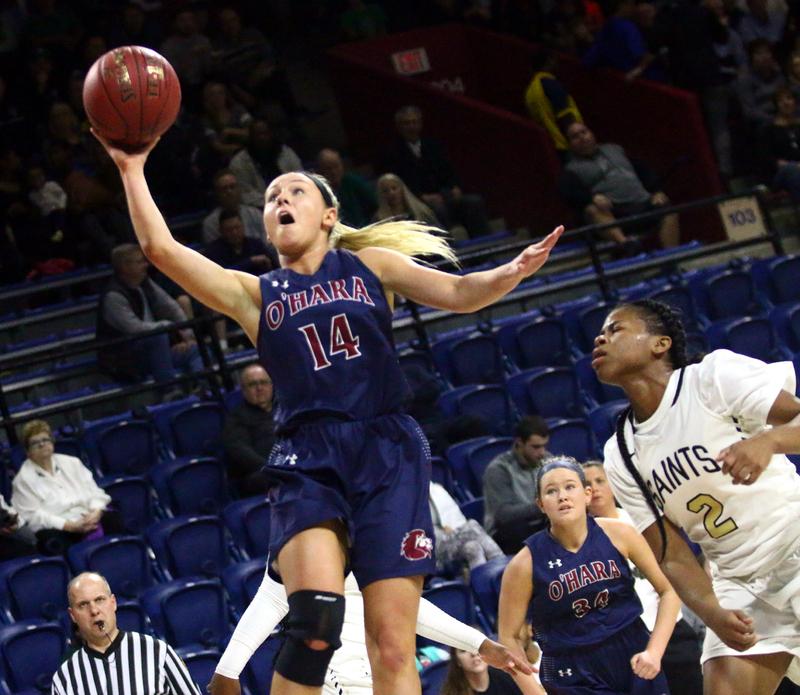 Kenzie Gardler keeps a play alive for O’Hara by dribbling around defender Jabria Ingram. 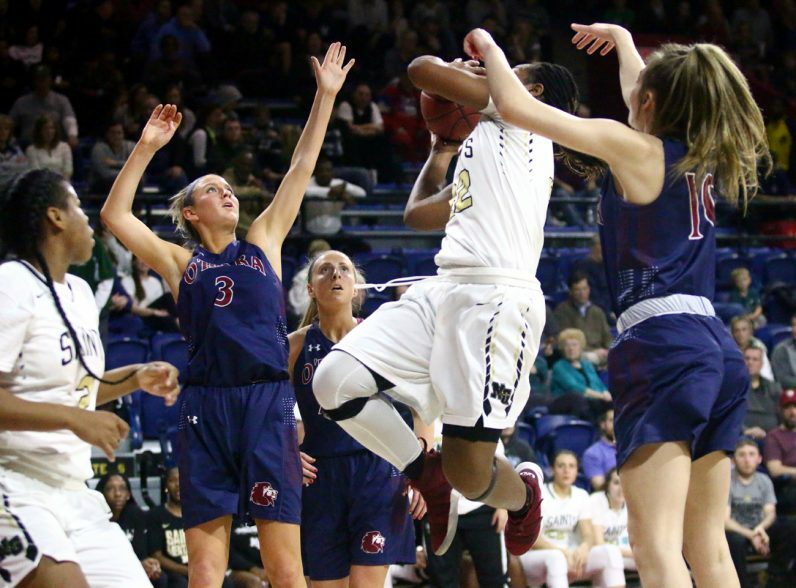 Neumann-Goretti’s Angel Ricks (center, in white) battles for a rebound with O’Hara’s Siobhan Boylan (left). 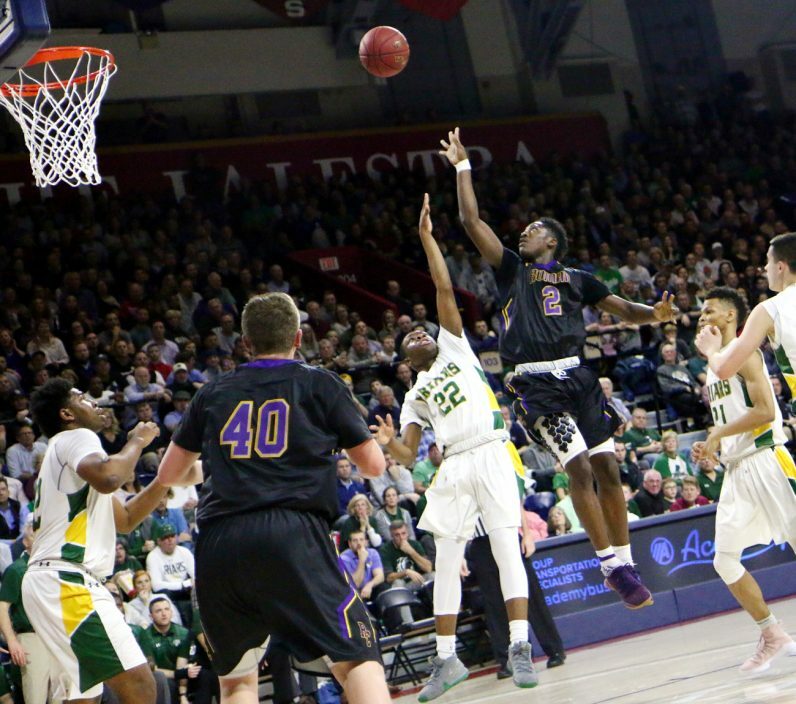 Jabria Ingram, a Neumann-Goretti senior and the Catholic League’s Most Valuable Player this year, soars into the lane for a shot. 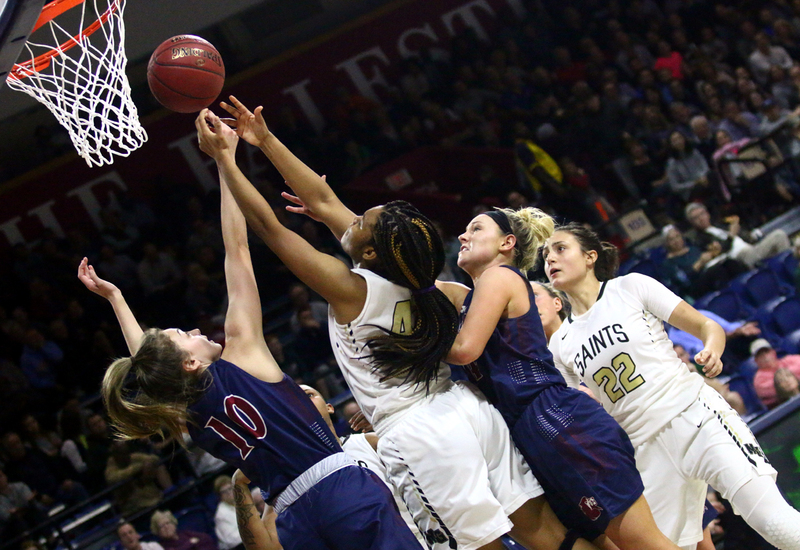 Kenzie Gardler puts up an uncontested lay up. 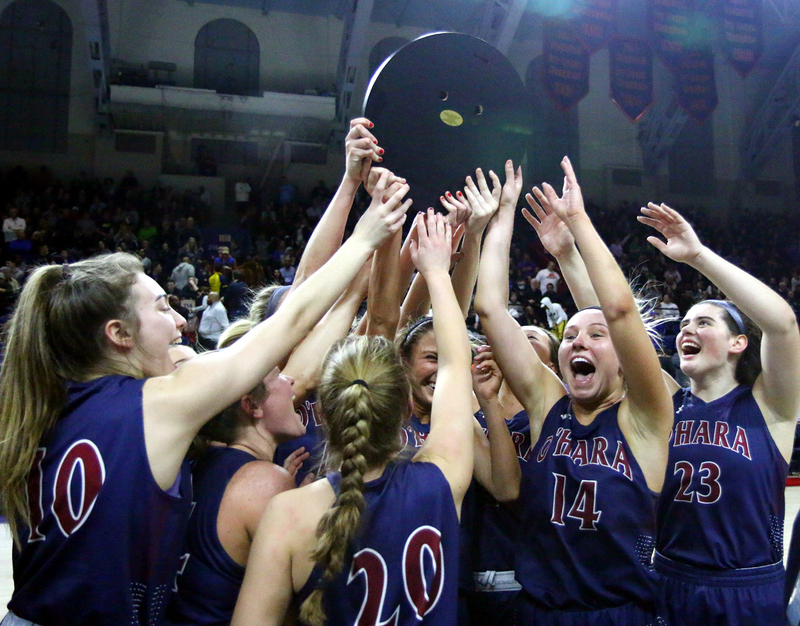 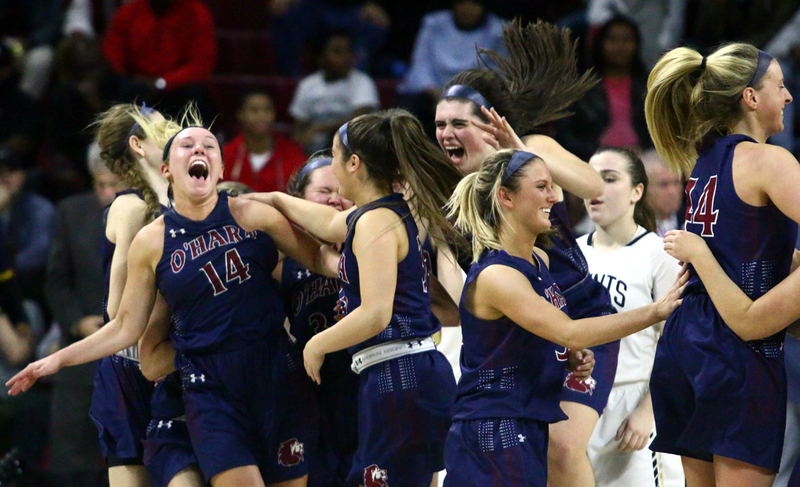 The Cardinal O’Hara girls hold up the Philadelphia Catholic League championship plaque Feb. 26 at the Palestra in Philadelphia.